The National Union of Eritrean Youth and Students conducted 2018 activity assessment meeting and charted out 2019 program on 14th and 15th January. 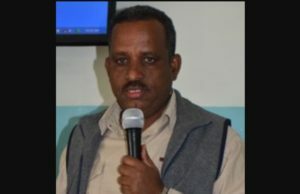 In reports presented at the activity assessment meeting conducted at the Embatkala Eritrean Center for Organizational Excellence, the heads of regional branches stated that commendable activities have been exerted including on enhancing organizational capacity, on empowering and raising awareness of the youth, equipping youth centers, reinforcing contribution of youth in abroad in national development endeavors, as well as on increasing the impact of the organization on regional and international affairs and charted out 2019 action plan. The Union decided to readjust all the programs of the union with the prevailing peaceful prospect, enhance awareness of the youth, sustainably continue vocational trainings, financially support the youth, enhance awareness raising campaigns and seminars in colleges and schools among others. In a concluding speech, Mr. Saleh Ahmedin, chairman of NUEYS stating that the activities are conducted thanks to active participation of families, community, Government and Front bodies and the youth, underscored that strong focus will be exerted in empowering the youth in 2019, as the year of crossing to bright future.